CENTREVILLE, Md. – The Queen Anne’s County Sheriff’s Office recently received a report of a new phone scam from someone claiming to be from the Internal Revenue Service (IRS). According to the report, the scammer claimed that they had attempted to reach the victim multiple times and as a result of the failed attempts, a federal lawsuit had been filed against the victim. However, the scammer stated that if the victim paid a fee of $6,421, the lawsuit could be settled. 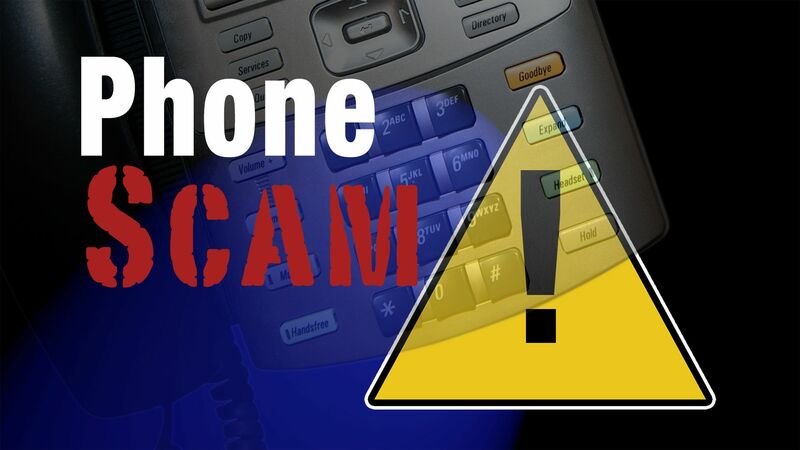 The sheriff’s office is warning residents that if they receive this call, it is a scam. They also want to remind residents that the IRS never asks for credit, debit, or prepaid card information over the phone, never insists on immediate payment over the phone, and never insists on a specific payment method, such as Google Play cards, to pay tax obligations. They also say scammers typically use common names and surnames to identify themselves, spoof the IRS toll-free number to make it appear as though the IRS is calling, and sometimes even send fake IRS emails in an attempt to support their fake calls.